Dr. C.V.Cheriyan was Professor and Director. A specialist on the United States and East Asian affairs, he headed the School from its establishment to September 1989. 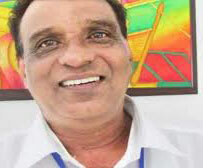 Dr. G.P Ramachandra joined the School in January 1988. An expert on South East Asia and political philosophy, he was Professor and Director and retired in March 2007. 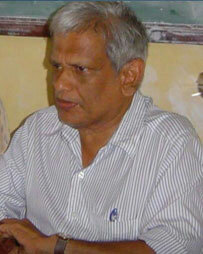 Dr.Raju K. Thadikkaran joined the School in December 1984. He specialises in Russian and Chinese Studies as well as on intellectual property rights and technology transfer. He was Director of the School for several years and retired in March 2016. Dr.A.K.Ramakrishnan, an expert on West Asia as well as gender issues, joined the School in December 1984 and held the Directorship for some time. He is currently Professor of International Studies, Jawaharlal Nehru University, New Delhi. 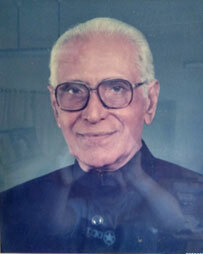 Dr. K. N.Harilal, an economist was on the faculty for almost a decade. 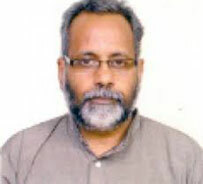 He is currently Professor in the Centre for Development Studies, Trivandrum, and Member, Kerala State Planning Board. Dr. Haresamudram Srikanth, a specialist in political theory as well as indigenous peoples was on the faculty for a few years. Currently he is Professor of Political Science, North Eastern Hill University, Shillong.